The 37th Metro Manila Film Festival (MMFF) ended with colorful floats and a movie line-up dominated by two fantasy flicks that continue to re-define the traditional Filipino values of family orientation and bravery. Bossing Vic Sotto and the Comedy Queen Ai Ai de las Alas team up for the highly-anticipated Enteng ng Ina Mo, which is a combination of two tales chronicling the misadventures of Enteng Kabisote and the continuous struggles of Ina Montecillo to raise her children that have shrunk in numbers after two consecutive continuations. MMFF has solidified itself as an annual movie festival catered to younger audiences – the always present entry, Shake, Rattle, and Roll, which is going strong in scaring Filipino audiences with horrific vignettes of ghost stories and paranormal reincarnation of beliefs and creatures based from Pinoy literature. I’m a strong proponent of MMFF, as my family would always wait for the entries before invading cinemas on Christmas, a tradition that I completely embraced despite the competition presented by international blockbusters in terms of performer line-up and screenplay. Although I was not able to attend the opening line for the 2011 Metro Manila Film Festival, I did, however, caught up in the second week of Pinoy cinema’s star-studded offering to audiences of all ages. I decided to watch Ang Panday 2 because I wanted to personally praise and criticize the film for going beyond graphical expectations of our industry’s rather weak special effects department. 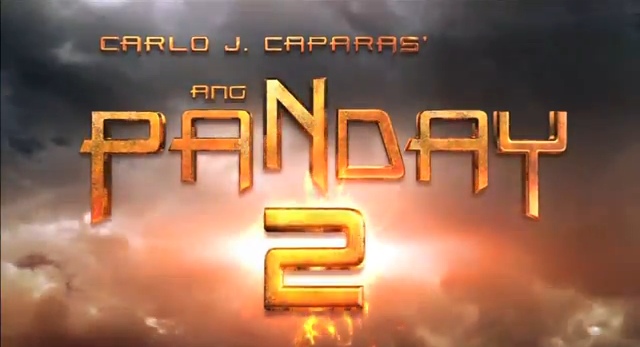 Additionally, Ang Panday 2 is rumored to have borrowed “few” cinematographic elements that produced many opponents of the sequel. Played by many different characters including the late great Fernando Poe, Jr., Ang Panday 2 is about the story of a humble blacksmith in the name of Flavio (played by Sen. Bong Revilla, Jr.), whom is considered a hero and savior by his village for defeating the evil Lizardo (played by Philip Salvador). Ang Panday 2 starts with Flavio being welcomed by his village after triumphantly defending them from the chains of fear installed by Lizardo. Flavio, with his soon-to-be wife Maria (played by Iza Calzado), rejoice that their marriage will indeed go on without Lizardo sending in his minions of lesser evil. However, Lizardo was revived by a witch (played by Ms. Lorna Tolentino) and chaos once again ensues as Flavio is once again embroiled in conflict wherein he has to put a stop to Lizardo’s schemes while shouldering the heavy burden of Maria being taken away by Lizardo himself. Additional twist to the story include Bagwis as a shapeshifter that belongs to a clan of peace-loving known as Ragonas. GMA 7’s Queen of Primetime Entertainment Marian Rivera plays a stunning role as Bagwis’s human half. 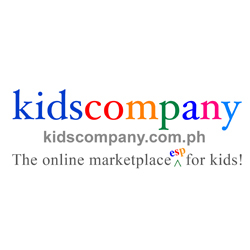 Other than that, I find it hard to classify Ang Panday 2 as a movie that can bring life to Philippine cinema’s crowded list of fantasy flicks; the rushed exposition of plot lines and the inclusion of children screaming when they are caught in a raid of bandits and mer-people are just some of the cracks found in Ang Panday’s carapace. Furthermore, the huge scorpion and the colossal Krakken-like thing complete in tentacles look awfully familiar. If you have caught the movie’s trailer, then you must know that Ang Panday hasn’t established screenplay wonders that can really kick-off the sword-slashing, fantasy genre. Instead, Ang Panday 2 gave Flavio the ability to slay a giant scorpion within a minute while stuck in its sharp, poisonous pincers. Flavio also defeated the Krakken-like thing by simply thrusting his sword inside the monster’s throat. Take that, ancient Greek heroes with your Medusa heads and winged horses! 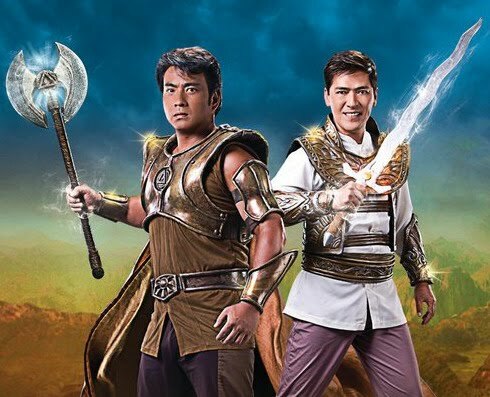 Despite its flaws, Ang Panday 2 manages to entertain, which I think is the only production value that made it a blockbuster success. Also, our movies are gingerly coming up with new ways to innovate storytelling in order to engage audience, and Ang Panday, in my opinion, has forged the foundation that can empower mainstream filmmakers and producers to develop movies that can rival the graphical and screenplay wonders of commercially-successful titles like Harry Potter. We’re getting there, but not quite there yet. Derek has been with Flipgeeks for almost three years. His first video game was Sonic the Hedgehog for the Sega Saturn and after blowing their television set after playing too much Rambo, he has set on a journey to play some of the best (and worst) role-playing games ever spawned. He recently completed Wild Arms 2 without any cheat codes.